Love N Hip Hop Just got Juicier! 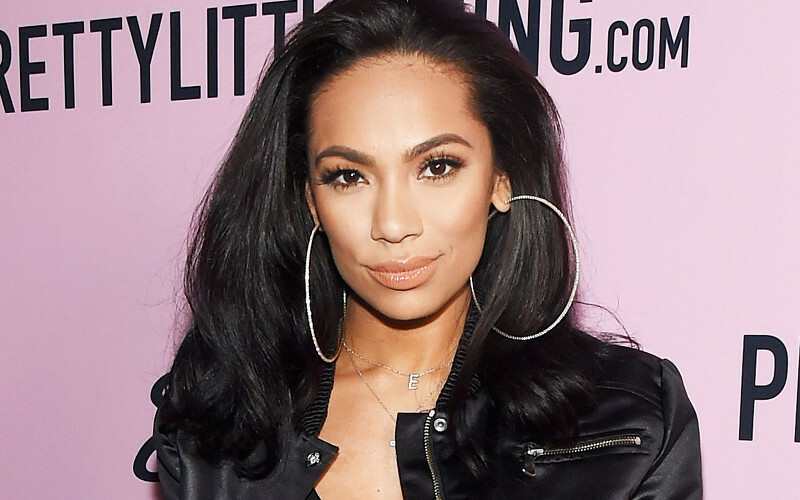 Erica Mena feeling Ms. Tommie Lee? We all have seen Erica Mena’s crazy love triangles ever since being a cast member on Love N Hip Hop New York and now Atlanta. With the lust and back and forth with Richie Dollaz, the infamous Cyn Santana where she decided to take a dip in the “lady pond” and now she has eyes on the aggressive star Tommie Lee. While at Mena’s welcome to ATL party, she took a true interest when Tommie step into the building as the ultimate VIP. Erica laid it on her thick leaving Tommie speechless for real, and yall know that Tommie has never been speechless a day in her life. It was more like scared of how Erica was being a little bit too much aggressive. Watch out Tommie! Erica is definitely after you boo! But the real question is why did Erica decided to rejoin the cast of LNHH after the tweet Erica made from last March stating “So many reasons why I would never go back to LHH. Those who do go back clearly need the money….” So if she doesn’t need the money, then why did she come back? Do she think she will be the lead on Stevie J’s label and lay down a track? Be careful girl because you already know how Stevie J preys on all his female artists. I mean look at poor Estilita and how he was trying to sleep with her already. Lawwd, please ring the alarm on this man! Next Grown-Ish Star Yara Shahidi Makes it on the Cover of Essence Magazine!